Brancott Estate Terroir Series Sauvignon Blanc is a popular New Zealand White Wine available from Amazon.co.uk in 75cl to buy online. Visit Amazon.co.uk for the best price for 75cl of Brancott Estate Terroir Series Sauvignon Blanc or compare prices on our other New Zealand White Wine products. The palate shows fennel and apple fruit notes with ripe grapefruit highlights enhanced by lemon curd minerality. This wine is a well-balanced with concentrated fruit flavours, flinty acidity and a lingering finish. This wine can be drunk now but will further improve if carefully stored for up to 3 years. Where to buy Brancott Estate Terroir Series Sauvignon Blanc ? Brancott Estate Terroir Series Sauvignon Blanc Supermarkets & Stockists. 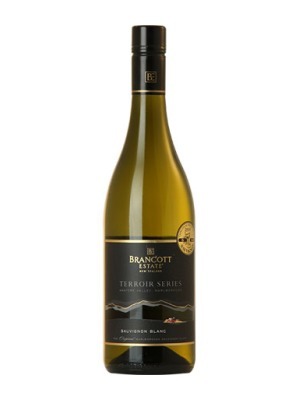 You can buy Brancott Estate Terroir Series Sauvignon Blanc online in most retailers and find it in the New Zealand White Wine aisle in supermarkets but we found the best deals online for Brancott Estate Terroir Series Sauvignon Blanc in Amazon.co.uk, Tesco Wine, and others. Compare the current price of Brancott Estate Terroir Series Sauvignon Blanc in 75cl size in the table of offers below. Simply click on the button to order Brancott Estate Terroir Series Sauvignon Blanc online now.